Have you ever tried to sew a perfectly round circle? Most of us can’t even draw a nicely-shaped circle, let alone stitch one! 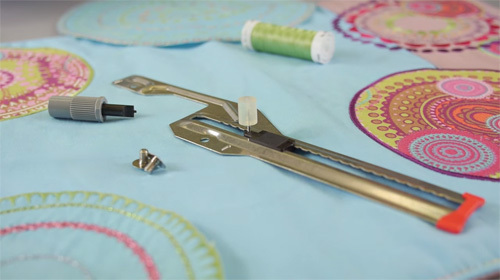 But you really CAN sew beautiful circles – with a little help from Circular Embroidery Attachment #83. 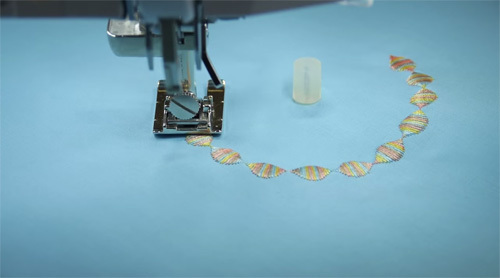 This clever device attached to the bed of your sewing machine and has a movable pin that serves as a pivot point for your fabric. 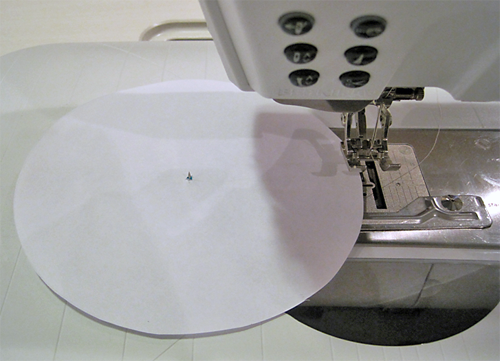 Move the pin closer to the needle for small circles, farther away for large ones. Tip: Be sure to stabilize your fabric so it doesn’t wrinkle or fold as you turn it. Next Next post: How to Personalize a Quick Gift with PaintWork!